Gas prices are the key element in deciding where to purchase the gasoline. As we drive by a gasoline station we can clearly see the prices and if that location is open or closed. How can we know if the next station down the road has a better price or not? The highly volitile price of the fuel impacts the finances of each consumer and business whether they drive one vehicle or operate a fleet of trucks. It is always necessary to have the prices at the fingertips with the aim of getting the best deals. Companies that run their fleets of automobiles and trucks on gas and diesel fuel will want to get an accurate update of the prices. 1. No real time prices. : Since the gas prices are updated on a physical basis, it means that getting a real-time price at any given time becomes a challenge. The price of gas is highly volitile. To be competitive gas station managers may change prices several times daily. By the time the price is reported by a consumer using an app, the price may have changed. No one knows when the next person will report the new price. 2. Vulnerability to manipulation. : Currently, the system in place does not have authentication of access. Therefore, anyone who has access to a gas price reporting app can report a price. With such system in place, it becomes very easy for people with wrong motives to alter the prices. The alteration means that people will be fed with false information and the consumers end up paying a higher price. 1. Real-time-prices. : The information which is displayed in local searhes is real time and based on the updates actually made by the local gas station manager not a consumer or your competitor entering prices. It means that the information about the prices will always stay up to date and helps everyone find the best price. 2. Accessibility : When is signal for a new price is received on our pricing platform it is receiving a “heart beat” from that location. They are definitely in business and open. Additionally “open now” or “closed” messages are shared with the search engines. 3. Authorized access. : The gas prices digitally captured on our real time price platform are controlled by the people who are authorized by the gas station management to change the price. This ensures the accuracy of the prices being fed to the public. Capturing price data from our LED GAS PRICE SIGNS eliminates stale prices as well as the manipulation of the data. Conclusion. : The introduction of our Real Time Gas Price Platform is definitely the wave of the future. The “Internet of Things” pricing platform by PlaceSign.com is now available and deployed in over 1,000 locations across the USA. 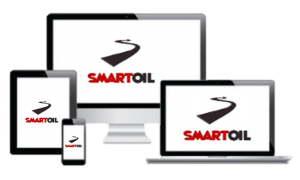 Smart Oil Technology is fully integrated with the Place Sign pricing system. 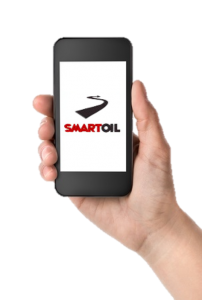 Smart Oil Technology LED GAS PRICE CHANGERS work over the internet using any computer, smart phone or tablet device that has internet access. We are fully integrated with Place Sign. When the gas station manager changes the price on our sign locally or centrally the prices are shared on the pricing platform and with all the major search engines.